Sometimes there are weeks, or even months, where every day holds some type of crisis. Large or small, it seems necessary to be on the alert and constantly solve problems. As the issues stack up it is easy to fall into a pattern of worry. It is at times like these I am reminded of what Great-Grandma’s favorite preacher, J. Vernon McGee, once said. Worry about nothing; pray about everything. Prayer is the secret of power. Things were going well this weekend. Nathan graduated from high school on Saturday night and we were enjoying all the festivities for his friends. We returned home after continuous party hopping feeling full of food and friendship. Suddenly, the sun disappeared and gray clouds swept the sky. A wild wind picked up and soon driving rain was pelting the windows. I ran to the porch to batten down the hatches. I rescued the hanging petunias destined for a crash, pulled the rocking chair to the safety of the dining room, and sat down to ride out the sudden storm. Finally things settled down, and except for a few tree limbs it seemed we had escaped the worst – until I ventured out the kitchen door. Much to my chagrin one of the sliding barn doors had not been locked and was now wrapped up over the roof. The gaping hole and mangled metal made my stomach curdle. This, along with all the other large and small annoyances of the past week, threatened to crush me with worry. It was just one more thing to add to my list of concerns. Reviewing my ever growing mental list of frustrations, the tension became overpowering. But then I remembered, “Worry about nothing: pray about everything. Prayer is the secret of power.” I breathed a prayer of desperation and suddenly a calm feeling soothed my anxious spirit. I am so glad that God tells us to bring EVERYTHING to Him in prayer. There is nothing too big and nothing too small. In fact, to God, everything is small. The One Who created the whole universe and keeps the planets and stars in space has no problem with a lost credit card, a desperate time crunch, or even a heavy sliding door wrapped over a barn roof. They are nothing to Him. He is so powerful that the things that seem overwhelming or impossible to us are a piece of cake for Him. What a comfort this reminder can be! Yes, there will be weeks, months, or even years when every day seems to hold a crisis. Sometimes they will be small andsometimes they will be huge. But we don’t need to be anxious about anything! Bring all our concerns to God. Thank Him for hearing and answering in the way that He knows is best. And by doing this we will experience an unexplainable peace. The barn door is still on the roof begging to be fixed, but somehow I feel confident that all is well. I have prayed and given it, along with all my other worries, to God, and I know He will take care of things. Now if I can only remember this tomorrow when the next crisis hits!!! The verse of the day is Isaiah 26:3. “Thou wilt keep him in perfect peace, whose mind is stayed on thee: because he trusteth in thee. I watched in awe as she spun around and around, her skirt flaring out over the ice. The Olympic ice skater had perfected a skillful twirl. 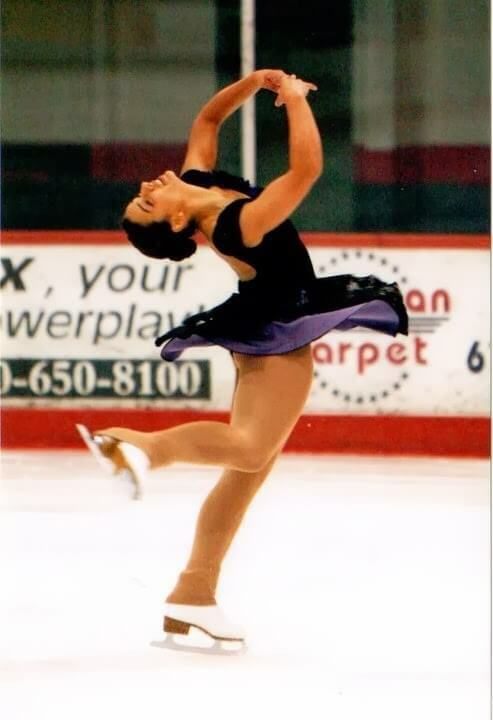 As she landed on the ice and continued her routine, I wondered how she could keep from becoming disoriented from her spin. After asking the question of a former ice skater, I was told the answer. Skaters are taught to focus their eyes on a specific spot. As they rotate round and round they continually move their head to keep their eyes on that unmoving point. In this way they can keep from becoming dizzy and maintain their balance. In life there are times when circumstances spin us around wildly. Everything feels out of our control and even the simplest of tasks feel overwhelming. In these times we, like the ice skater, need to fix our eyes on a stable focal point. As life whirls around us, this focus will keep us from falling over. Today’s verse tells us that when we keep our mind stayed on God, trusting Him through the storms of life, He will keep us in perfect peace. Are you spinning today? Focus your eyes on God and His peace will bring you to a smooth landing.